Nora Lee Williams was born September 15, 1920 and departed this life on March 1, 2019. Nora was born in Nanafalia, Alabama to the late Ed Hubbard Williams and Delphia Olive Wiley-Williams. Nora Lee was the fourth of eleven children born to Ed and Delphia. At an early age, Nora was baptized and joined Mt. Moriah Baptist Church in Nanafalia, Alabama. There, she taught Sunday School and served as Superintendent. She worked rigorously in the Missionary Society. Nora remained a Sister in good standing in the Order of Easter Star: Bright Star Chapter #616A-Lodge #755, Sweetwater Alabama, Worthy Matron Sister Gloria Westbrook. Nora graduated from the Marengo County Training School in Thomaston, Alabama. She continued her education until receiving her Alabama State Teaching Certification, fulfilling degree requirements from State Teachers College---Alabama State College—Alabama State University in Montgomery, Alabama. Nora began her much loved profession of teaching in the very early forties. A career that included “the proverbial one room school house”, in Mt. Sterling and Lavaca, Alabama, and ended 45+ years later in the Choctaw County seat of Butler, Alabama. Nora loved teaching the young and old alike; from tutoring to remedial education. Teaching was her passion. In 1949, Nora met and married Rev. Alonza L. Lassiter, her husband for 62 years. To this union was born, Alonza Jr., Deborah, and Edward, completing a family of children including Wallace White, Houston Ridgeway, and godson, Horace Crenshaw Jr. Nora truly loved family and would often take city kinfolk back to the spring well in Alabama, to never forget their roots. While visiting, they would learn canning, quilting, gardening, and the other essential skills of the day, along with some reading, writing, arithmetic, and not to forget, Sunday School Lessons. Nora’s love for Jesus continued to be expressed through the worship and praise of God at her home church of Greater Mt. Carmel, MBC, St. Louis, Mo. Rev. Earl Nance Jr., Pastor. There she served on the Mother Board until failing health prohibited. Failing health continued until the Lord called her home on Friday, March 1, 2019. Present with her, was her son Alonza and brother Charlie. 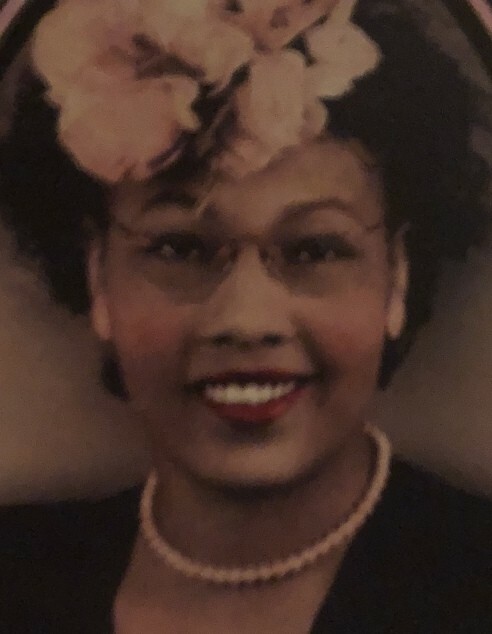 She was preceded in death by her husband: Alonza L. Lassiter, Sr.; daughter: Deborah Lassiter; siblings: Essie Mae Williams, Willie Williams, Sara Sue Ballentine, Limmie Williams, Eddie Mae Logan, Mary Louise Atkins-Thomas and Lura Williams. She will forever remain in the hearts and memories of her sons: Alonza L. Lassiter, Jr. and Edward B (Carolyn) Lassiter; 1 brother: Charlie G. Williams; 2 sisters: Gussie D. Williams, Zeola (John) Mitchell and a devoted sister-in-law: Barbara Williams; 3 grandchildren: Edward B (Yvonne) Lassiter Jr., Noralyn (Michael) McMeans, Aaron C. Lassiter; 4 great grandchildren: Jacques Foster, Kamryn Lassiter, Michael McMeans, Gabriella McMeans; 20 nieces and nephews: Ralph Logan (Betty), Roland Logan (Cynthia), Veryle Hudson (Deonne), Winifred Harsley (Ed), Delbert Williams, Larry Williams, Ronald Williams, Alan Dale (Pearlie Mae) White, Mark Williams, Anngellic Williams, James Atkins Jr. (Vickie), Sheree Garrett (Nieman), Warren Ballentine, Linda Sue Williams, Rochelle Griffin (Melvin), Kevin Mitchell, Vicki Hopkins (Matt), Damon Williams, Dessire Knowlton, Tyrone Young; a host of great nieces and nephews, cousins, and friends.